At the very center of New Zealand lies Nelson, a small city cradled in-between three national parks, and the Pacific Ocean, and home to over 300km of some of the best mountain bike trails on the planet. 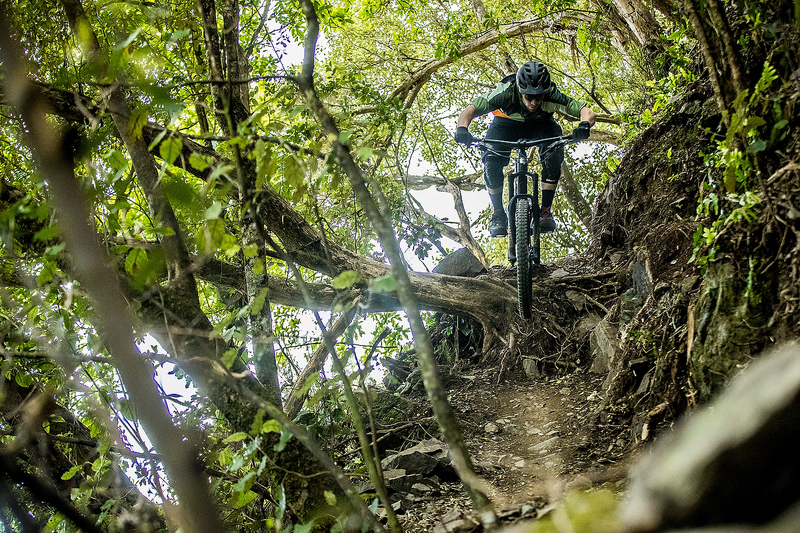 As New Zealand’s sunniest region Nelson attracts riders from around the world who come to train, race, explore and have a damn good time – and on 10 February 2019 it will play host to round three of the EWS Asia Pacific series, the Aorere Enduro. Mountain biking in Nelson has a long history – the local club was founded 35 years ago and slowly gathered momentum as the popularity of the sport increased. Today the club has 4000 annual members (from a population of 60,000) and manages around 200km of trails, including the famous Wairoa Gorge Bike Park, built by a mountain bike loving benevolent billionaire who then gifted access back to the community (www.thegorge.nz). Nelson’s trail diggers are a passionate and active bunch with new trails being created every year, the vast majority hand made, long and full of interesting features. Great relationships built over 35 years with the local iwi, Ngati Koata, which owns much of the land, the local council and land managers means the club knows how to get stuff done. Last year they finished Te Ara Koa, a 5km hand built grade 4 trail that drops over 700m from the summit of Fringed Hill, which towers over the city. Specifically for the Aorere Enduro the club has been hard at work creating a brand new hand built grade 5 trail that will also be over 5km long and is expected to take around 15 minutes to race. The summit boasts views over Tasman Bay and runs along a stepped ridge line right down to the Maitai River (a local hotspot for cooling off in the summer). The trail construction has been carried out by both professional trail builders and local volunteer groups with Aorere Enduro title sponsor Specialized putting on a community dig day on 20 January to add the finishing touches. Even the locals are excited by how amazing it looks, which can only bode well for competitors enjoyment. One of the unique features of riding in Nelson is the altitude of the surrounding mountains and a variety of terrain. Within 5km of the city center are hand built trails that drop over 800m, winding their way down through mist-shrouded native forest into exposed rocky outcrops before plunging into steep and loamy pine forests. All the time there are views into the high alpine peaks to one side and the deep blue Pacific ocean on the other. The club has invested heavily into beginner/intermediate trails over the past five years and there is a great variety of digger built flow trails and hand built forest tracks as well for new and young riders to practice on before they progress up to the many grade 5+ trails that surround the city. 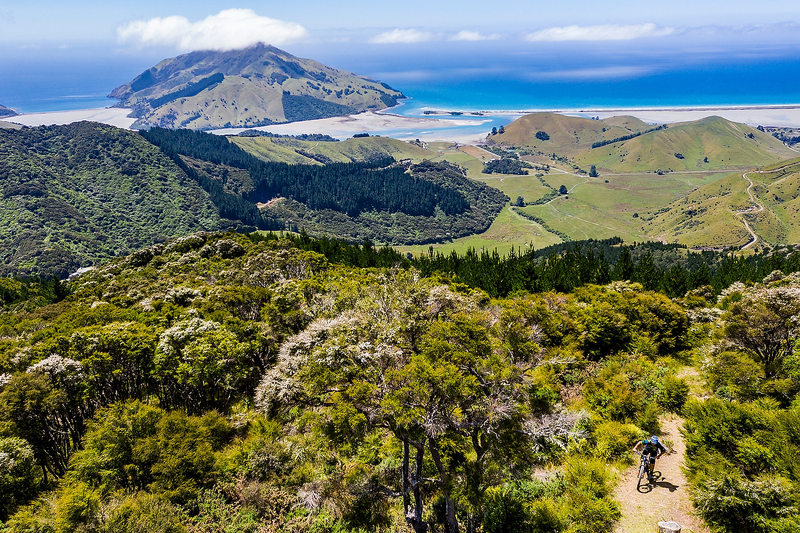 As well as more single day riding options than you can tick off in a two-week visit Nelson also boasts a variety of multi-day mountain bike adventures that send you into Lord of the Rings environments deep in the Southern Alps and Kahurangi National Park. 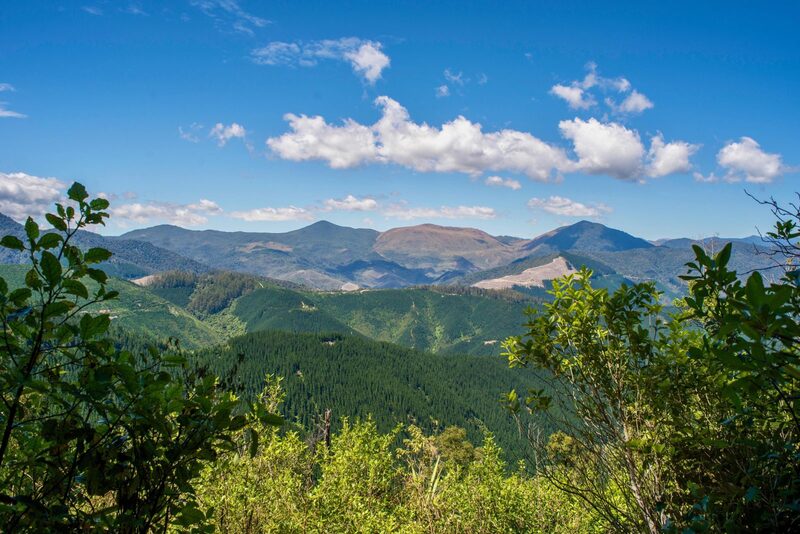 The Old Ghost Road and Heaphy Track are two of the best known and well worth tacking onto a visit to the region. 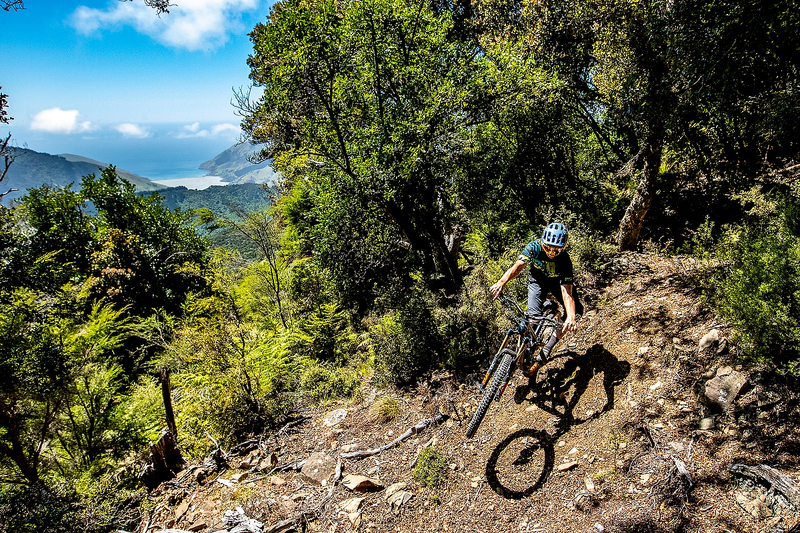 The Aorere Enduro will be Nelson’s biggest ever multi-day Enduro and the city is excited to welcome racers and spectators.The event runs from 7-10 February, with four stages on each of the two race days (8 stages in total). The event village is situated at the Botanics Reserve at the Centre of NZ, this will also be the location for the final stage finish. It’s currently none other than Sam Hill leading the Asia Pacific Series after back to back wins at the first two rounds, with Rowena Fry of Tasmania leading the women’s category. However, there will also be plenty of home grown talent on display with Liv rider Rae Morrison and Master World Champion Melissa Newell on the start line next month.